California-based Atlantic Inc comes up with a new offer for gamers and all of their accessories and peripherals. The Spyder Gaming Hub is a metal TV stand, constructed from 12 parts, which will store your HDTV, consoles, motion controllers and your favourite games. Spyder Gaming Hub has a steel frame structure and Atlantic says that it takes less than 30 minutes to be assembled. It offers solid stability, open architecture which assist for better airflow and is appropriate for up to 40-inch LCD TVs (up to 90 lb). 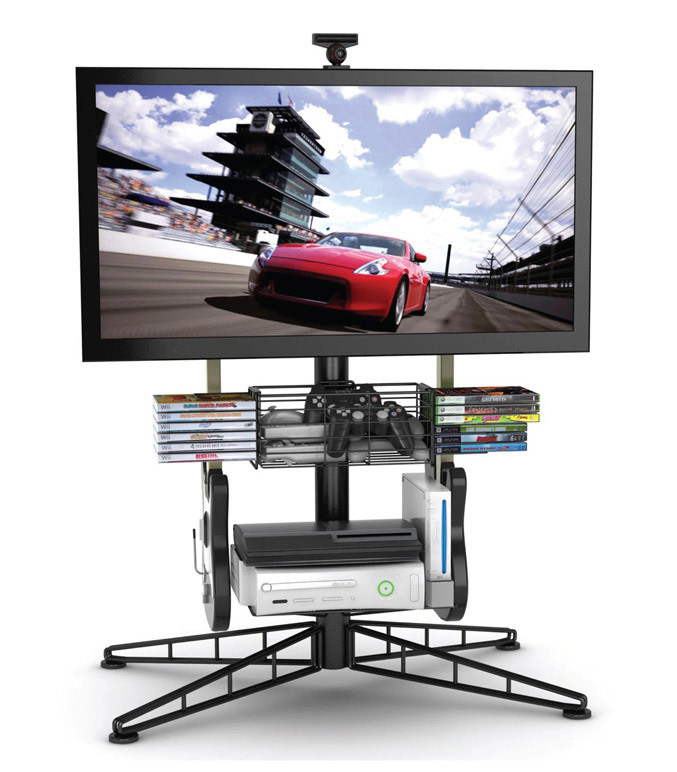 It has steel center cylinder, component shelf that can handle three consoles weighing up to 60 lbs, twelve game cartridge rack and adjustable non-marring feet. Sypder also include a rear mounted power strip tray and wire management cleat, as well and two VESA 400×400 mounting brackets with hooks for easy attachment of a flat screens. It will be available in April for $149.